Match ends, Antofagasta 0, Palestino 1. Second Half ends, Antofagasta 0, Palestino 1. Guillermo Soto (Palestino) wins a free kick in the defensive half. Foul by Tobías Figueroa (Antofagasta). Substitution, Palestino. Ignacio Herrera replaces César Cortés. Corner, Palestino. Conceded by Tomás Astaburuaga. Attempt blocked. Nicolás Peñailillo (Antofagasta) header from the centre of the box is blocked. Assisted by Felipe Flores with a cross. Corner, Antofagasta. Conceded by Ignacio González. Attempt saved. Tobías Figueroa (Antofagasta) right footed shot from the right side of the box is saved in the bottom right corner. Assisted by Bruno Romo with a headed pass. Gabriel Sandoval (Antofagasta) wins a free kick in the defensive half. Foul by Carlos Agustin Farias (Palestino). César Cortés (Palestino) is shown the yellow card. Offside, Antofagasta. Gabriel Sandoval tries a through ball, but Tobías Figueroa is caught offside. 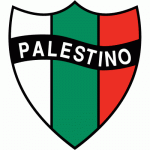 Substitution, Palestino. Sebastián Silva replaces Fabián Ahumada. Attempt missed. Eduard Bello (Antofagasta) header from the centre of the box misses to the right. Assisted by Felipe Flores with a cross. Delay in match Guillermo Soto (Palestino) because of an injury. Foul by Luis Jiménez (Palestino). Eduard Bello (Antofagasta) wins a free kick on the right wing. Nicolás Peñailillo (Antofagasta) is shown the yellow card for a bad foul. Lucas Passerini (Palestino) is shown the yellow card for a bad foul. Foul by Lucas Passerini (Palestino). Agustín Rossi (Antofagasta) wins a free kick in the defensive half. Attempt blocked. Lucas Passerini (Palestino) right footed shot from the centre of the box is blocked. Assisted by Guillermo Soto. Foul by Fabián Ahumada (Palestino). Felipe Flores (Antofagasta) wins a free kick on the left wing. Attempt missed. Lucas Passerini (Palestino) right footed shot from the centre of the box is close, but misses to the left. Assisted by César Cortés. Attempt missed. Tobías Figueroa (Antofagasta) header from the centre of the box misses to the right. Assisted by Francisco Sepúlveda with a cross. Delay in match Luis Del Pino (Palestino) because of an injury. Felipe Flores (Antofagasta) is shown the yellow card for a bad foul. Luis Del Pino (Palestino) wins a free kick in the defensive half. Foul by Felipe Flores (Antofagasta). Attempt saved. Luis Del Pino (Palestino) header from the centre of the box is saved in the top left corner. Assisted by César Cortés with a cross. Corner, Palestino. Conceded by Nicolás Peñailillo. Attempt missed. Tobías Figueroa (Antofagasta) header from the centre of the box misses to the right. Assisted by Gabriel Sandoval. Ricardo Blanco (Antofagasta) is shown the yellow card. Carlos Agustin Farias (Palestino) wins a free kick in the defensive half. Substitution, Antofagasta. Adrián Balboa replaces Jason Flores. Diego Rosende (Palestino) wins a free kick in the defensive half. Attempt saved. Diego Rosende (Palestino) right footed shot from the right side of the box is saved in the centre of the goal. Delay in match Jason Flores (Antofagasta) because of an injury. Attempt missed. Bryan Véjar (Palestino) right footed shot from outside the box is too high following a corner. Attempt saved. César Cortés (Palestino) left footed shot from the left side of the box is saved in the bottom left corner. Assisted by Lucas Passerini. Attempt blocked. César Cortés (Palestino) left footed shot from a difficult angle and long range on the right is blocked. Bruno Romo (Antofagasta) is shown the yellow card for a bad foul. Lucas Passerini (Palestino) wins a free kick on the right wing. Foul by Bruno Romo (Antofagasta). Substitution, Antofagasta. Felipe Flores replaces Ricardo Blanco. Foul by Jason Flores (Antofagasta). Attempt missed. Luis Jiménez (Palestino) right footed shot from the centre of the box is too high. Attempt missed. Lucas Passerini (Palestino) left footed shot from the centre of the box misses to the right. Assisted by Diego Rosende. Attempt missed. Lucas Passerini (Palestino) right footed shot from more than 35 yards is close, but misses to the left. Assisted by Carlos Agustin Farias. Ricardo Blanco (Antofagasta) wins a free kick in the attacking half. Foul by Luis Del Pino (Palestino). Bruno Romo (Antofagasta) wins a free kick in the defensive half. Offside, Antofagasta. Ricardo Blanco tries a through ball, but Tobías Figueroa is caught offside. Attempt blocked. Gabriel Sandoval (Antofagasta) right footed shot from the right side of the box is blocked. Ricardo Blanco (Antofagasta) hits the bar with a left footed shot from the left side of the box. Assisted by Tobías Figueroa. Foul by Gabriel Sandoval (Antofagasta). Fabián Ahumada (Palestino) wins a free kick on the right wing. Second Half begins Antofagasta 0, Palestino 1. First Half ends, Antofagasta 0, Palestino 1. Attempt blocked. Ricardo Blanco (Antofagasta) left footed shot from the right side of the box is blocked. Attempt saved. Ricardo Blanco (Antofagasta) left footed shot from outside the box is saved in the bottom right corner. Assisted by Jason Flores. Goal! 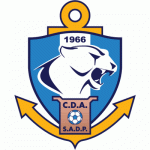 Antofagasta 0, Palestino 1. Fabián Ahumada (Palestino) left footed shot from the right side of the box to the bottom left corner. Assisted by Lucas Passerini. Attempt missed. César Cortés (Palestino) left footed shot from outside the box is just a bit too high from a direct free kick. Luis Jiménez (Palestino) wins a free kick in the attacking half. Lucas Passerini (Palestino) wins a free kick in the defensive half. Foul by Nicolás Peñailillo (Antofagasta). Offside, Palestino. César Cortés tries a through ball, but Lucas Passerini is caught offside. Eduard Bello (Antofagasta) wins a free kick in the defensive half. Francisco Sepúlveda (Antofagasta) wins a free kick in the defensive half. Foul by César Cortés (Palestino). Corner, Antofagasta. Conceded by Enzo Guerrero. Gabriel Sandoval (Antofagasta) is shown the yellow card for a bad foul. Enzo Guerrero (Palestino) wins a free kick in the defensive half. Hand ball by Tobías Figueroa (Antofagasta). Substitution, Antofagasta. Franz Schultz replaces Branco Ampuero because of an injury. Corner, Antofagasta. Conceded by Bryan Véjar. 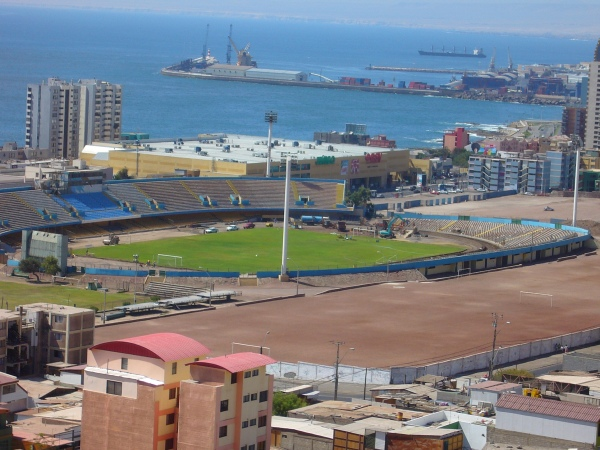 Delay in match Branco Ampuero (Antofagasta) because of an injury. Attempt blocked. Fabián Ahumada (Palestino) right footed shot from the left side of the box is blocked. Assisted by César Cortés. Luis Jiménez (Palestino) wins a free kick in the defensive half. Foul by Francisco Sepúlveda (Antofagasta). Attempt missed. Jason Flores (Antofagasta) right footed shot from outside the box misses to the left. Assisted by Francisco Sepúlveda. Attempt blocked. César Cortés (Palestino) left footed shot from outside the box is blocked. Assisted by Diego Rosende. Branco Ampuero (Antofagasta) wins a free kick in the defensive half. Attempt blocked. Eduard Bello (Antofagasta) left footed shot from the right side of the box is blocked. Assisted by Tobías Figueroa. Corner, Palestino. Conceded by Bruno Romo. Attempt missed. Carlos Agustin Farias (Palestino) right footed shot from outside the box is close, but misses to the right. Assisted by Lucas Passerini.